coconut, pecans, almonds, honey, egg whites, organic apples, cinnamon, madagascar bourbon vanilla extract, sea salt, all spice, nutmeg, ginger, cardamom. Mmmm... such a delightful taste of cinnamon and apple... it's almost sinful! Grain-free eaters rejoice! The taste of granola has returned to your mouth... but without all the high-glycemic grains. Our Cinn-Ful Apple UnGranola is loaded with coconut flakes, almonds, pecans, organic apples and a tasty hit of cinnamon. Gluten Free. Grain-free. Low-glycemic. Amazingly crunchy. Pour it in a bowl with some coconut milk... and boom... breakfast is served. Or scoop it with your fingers for a sweet end to your lunch. Made from only real food that treats your body with the respect it deserves. 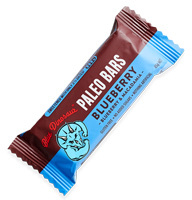 No artificial flavors, colors, sugars or preservatives.